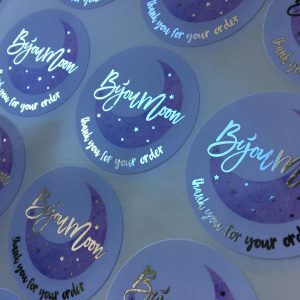 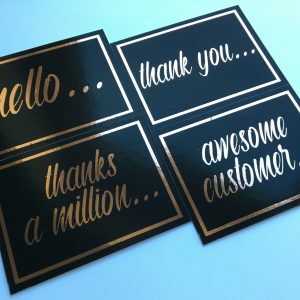 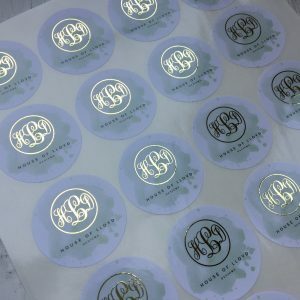 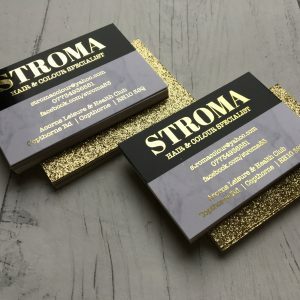 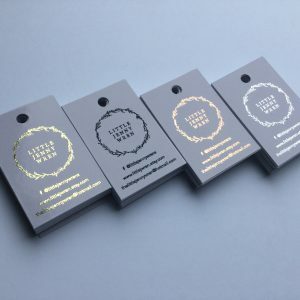 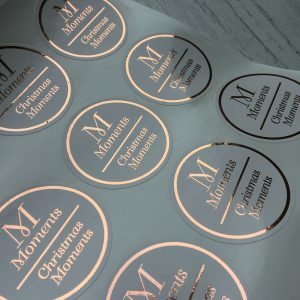 The foil finish creates stunning stationery for any business or personal use. 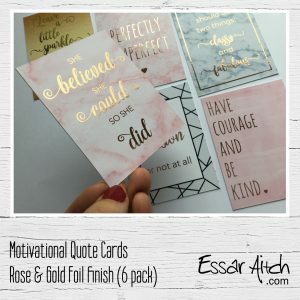 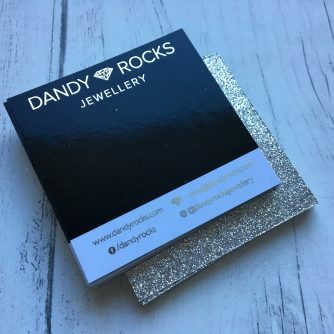 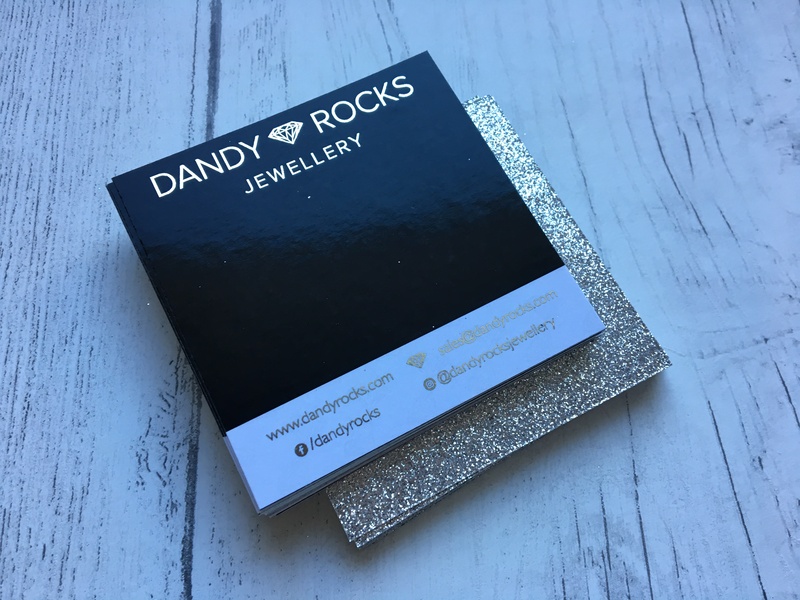 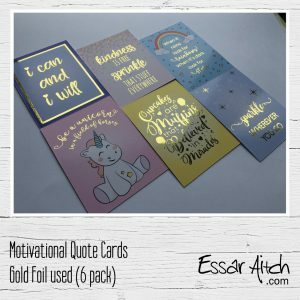 This listing allows you to choose slightly larger cards (single sheet, not opening like a greeting card) suitable for holding jewellery, bows, accessories – what ever you choose, with the added pazaazz of a glitter back! 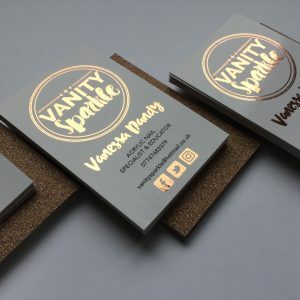 Printed on 300gsm smooth card. 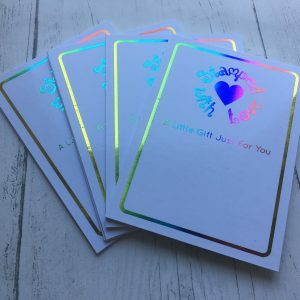 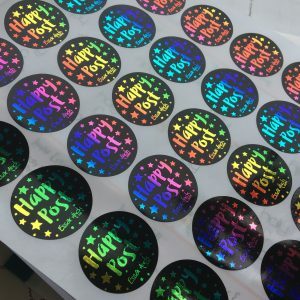 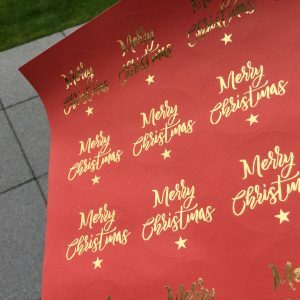 Each set can be a different foil colour. 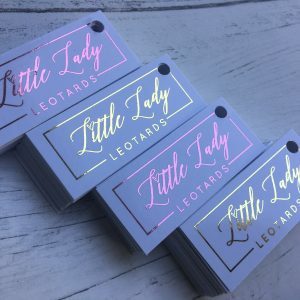 Please tick the boxes below for your size and colour. 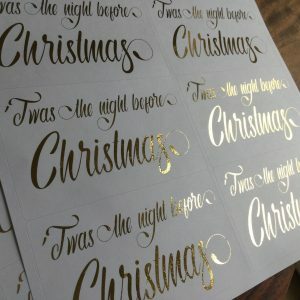 Proofs are sent after purchase.